Earth frequencies are in the 1-30 Hertz (Hz) range. They match the frequencies of our body, mind, tissues, and cells. These are the frequencies you'll receive in an Omnimat Pulsed ElectroMagnetic Field (PEMF) session. Dr. Ross Adey, an Australian born professor of anatomy and physiology working at UCLA School of Medicine, coined the term "biological window." ​A biological window is a range or spectrum of electromagnetic energies that are readily accepted by the body and converted to positive physiological responses. By applying a low-frequency pulsating electromagnetic field, most of our 75 trillion cells can be stimulated into harmonic resonance. The polarity on the mat is reversed every 2 minutes so that the cells don't get 'used to it' - as a result, they continue to be effectively stimulated to produce more regeneration, growth, and energy. 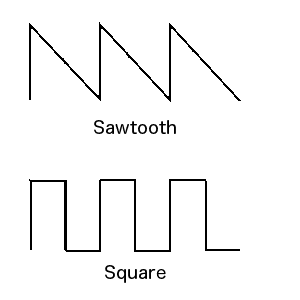 A NASA study demonstrated that a rapid time-varying waveform is most effective for promoting healing and regeneration.Two waveforms meet this criteria: the sawtooth and the square wave. Both waves have rise and fall times that are very abrupt. The more abrupt the rise and fall time, the greater the biological effect. The OmniMat has solid copper coils in 3 segments, Triple sawtooth wave impulse and magnetic field strength max. 45 micro Tesla. The mini OmniPad and the OmniSpot have solid copper coils, and the square wave impulse, magnetic field strength max. 70 micro Tesla and 120 micro Tesla respectively. I'm not a scientist - I'm a sound healer! And, I believe in frequency support to improve our mood, health, and personal development. If you'd like to learn more about PEMF, I found the short videos on this website (especially videos 2 and 3) to be particularly interesting and helpful. If you'd like to learn more, please have a look! Please contact me to book your session or inquire about buying your own PEMF products. 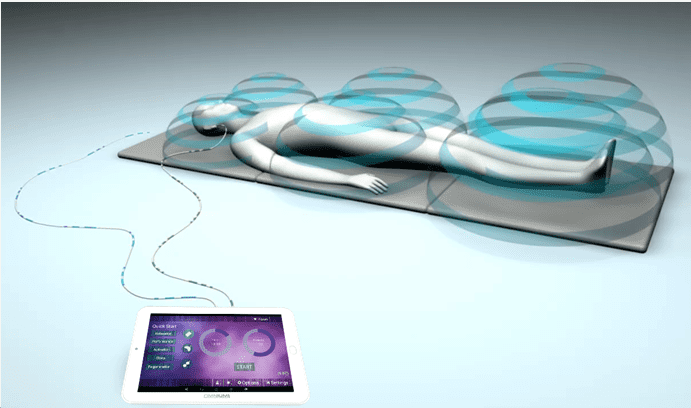 ​Buy Your Own PEMF Mat! I'm a licensed consultant with Swiss Bionic Solutions and if you love this mat, and can see its therapeutic value in your health toolkit, please inquire about buying a mat with me.